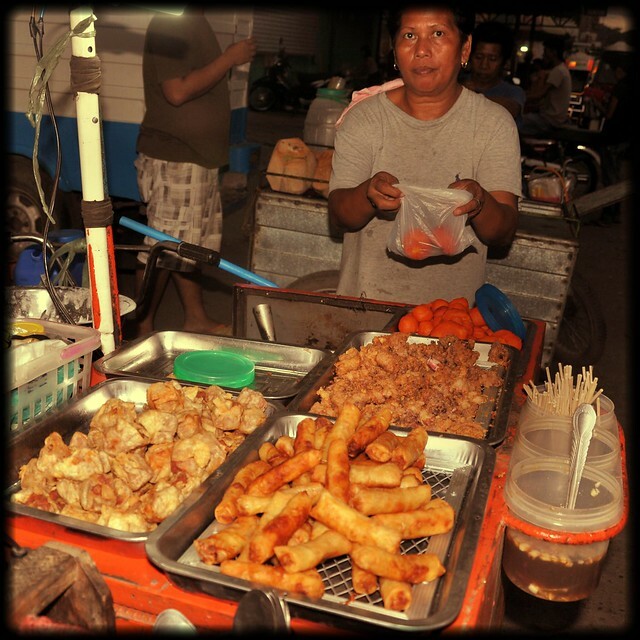 Food will always be the other half of my whole travel equation… local food speaks so much about a place and the culture. As they say, “nothing is permanent in this wicked world,” and so my adventure with Tuguegarao’s batil patung continues. It’s time to give justice to Tugue’s indigenous creation. We had it from Hotel Roma’s Cafe Michelle in our room. 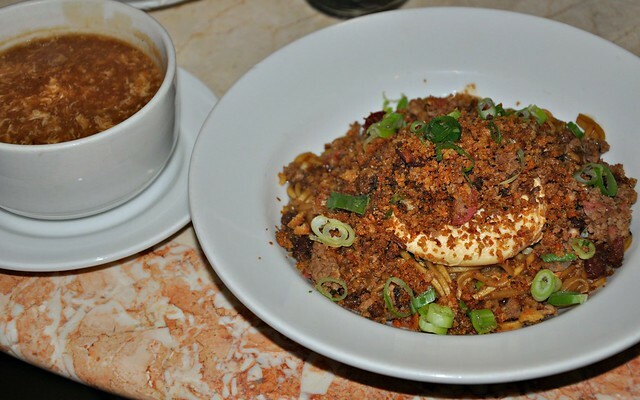 The noodle dish was overflowing with ground pork rind topping. If not for the abrasive saltiness, the noodle dish would have garnered a perfect ten in my book. Sloshed part of the omnipresent hot egg drop soup into the noodles and it somehow weakened the overwhelming salty taste. A bit bored at the hotel room, we went for a little stroll around Paseo Reale until we decided to take a tricycab to Red Dot where I met new friends who gave me a beautiful list of places to eat, but we had no time left for a batil patung overload, so perhaps on my next visit. 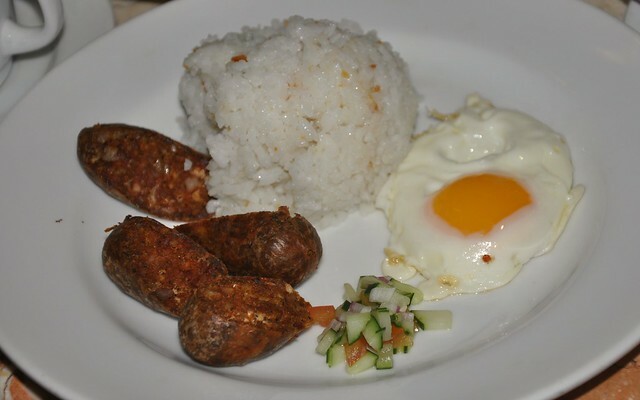 Breakfast in Tugue consisted of garlicky Tuguegarao longaniza and guess what? Leehua ordered fish kilawen🙂 Because I come from a land famous for longaniza, the crispy-skinned Tuguegarao sausages were unexpectedly good. 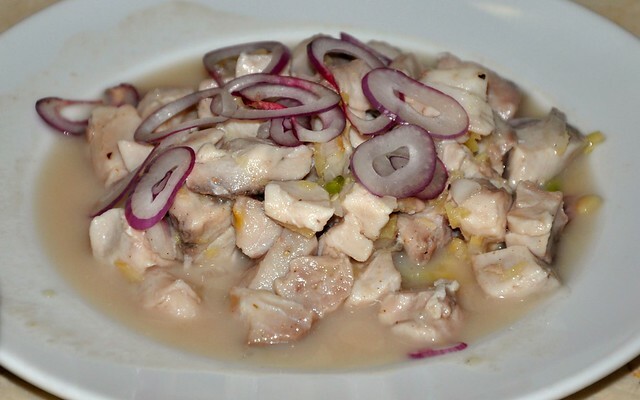 Missed my sukang Iloko, but the sukang puti was fine nonetheless. On the way to Solano, we stopped by Bienvenue roadside restaurant in Bagabag. Filipino entrées are predominant in their menu. Nothing tops steaming hot soup. 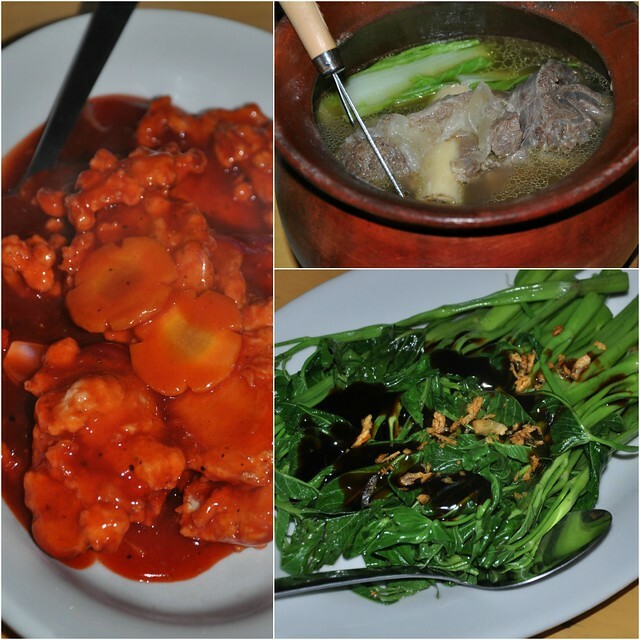 The sinigang na baboy (pork in tamarind or kamias soup) was pleasurable, especially with patis. 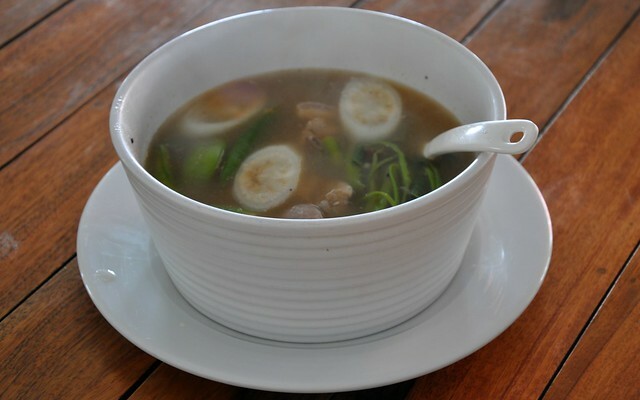 Chunky aba (gabi) lent a rich taste and slightly thick texture to the broth. 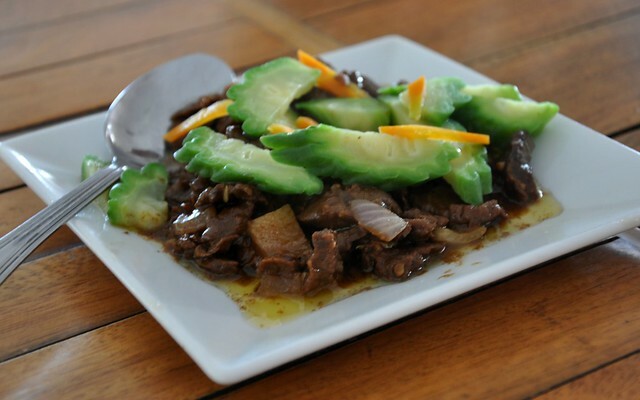 The beef ampalaya was a bummer. I suspect it was carabeef. I ate only the ampalaya (bittermelon). 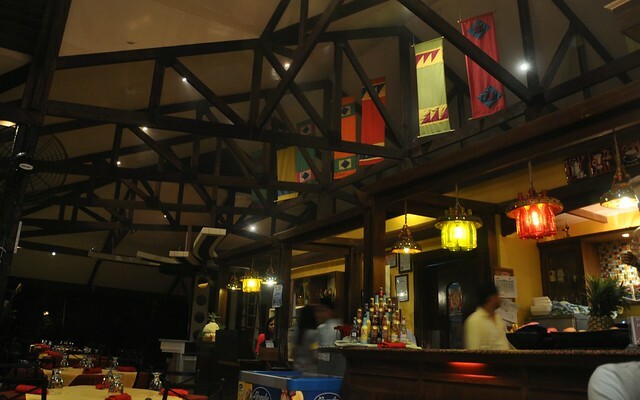 We had a feast at Balai Gloria in Bayombong, Nueva Vizcaya’s capital. The nicely decorated farm-style diner was fully packed. Leehua’s friend, Connie, ordered Black Rabbit for me. The extra rich chocolate concoction arrived first, so it sort of diluted my appetite. 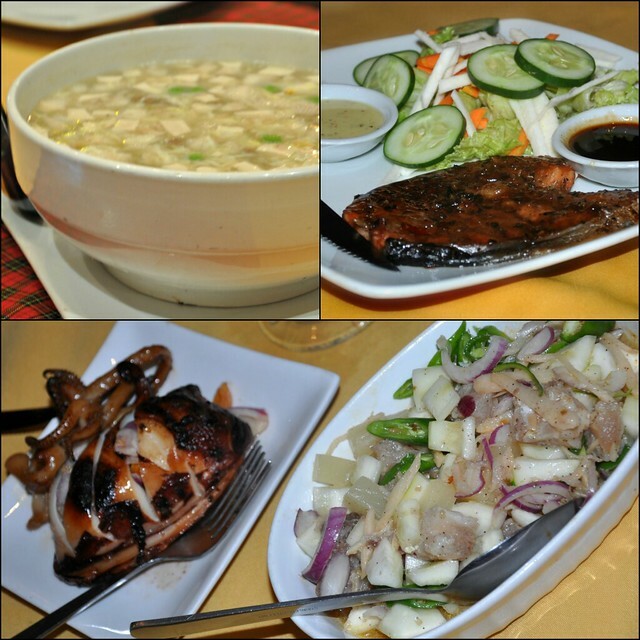 But anyways, I enjoyed bits of the barbecued salmon, fish kinilaw and grilled stuffed squid. The “treasures” soup tasted quite like West Lake soup, so nice. The unforgettable part of the dinner was the exquisite sans rival. Omg! Everything about it was indeed transcendent — from the layers of fresh butter to the temperate sweetness to the divine texture of the meringue to the shower of unaged cashew morsels! Connie arrived with a container of yacón (Smallanthus sonchifolius, Syn. : Polymnia edulis, P. sonchifolia). 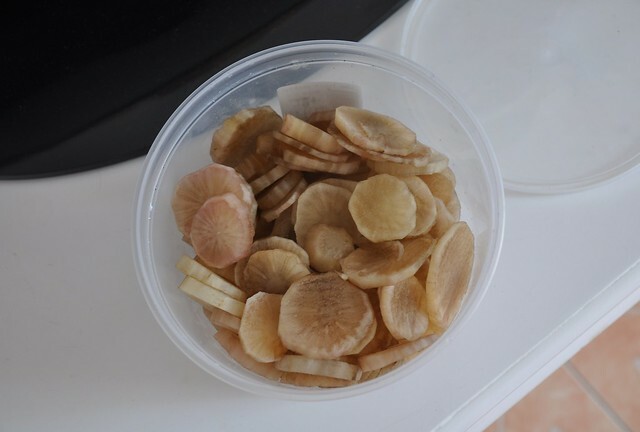 It is a tuber that resembles the crunchy texture of jicama or known as our local sincamas, but sweeter in taste. Yacón is indigenous to the Northern and Central Andes from Ecuador to Argentina and is known to contain probiotics and believed to be medicinal. Nueva Vizcaya’s terrain allows abundant production of the perennial plant. 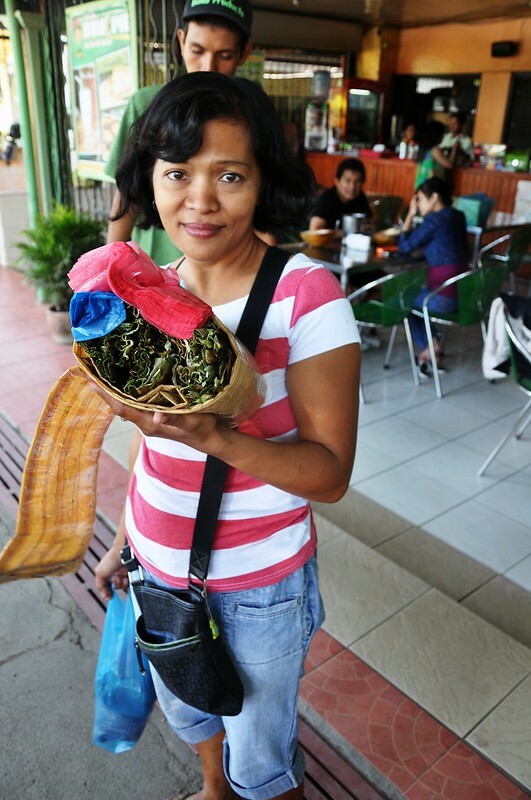 Unskinned yacón appears like camote or kamotig, but tastes quite like apple. 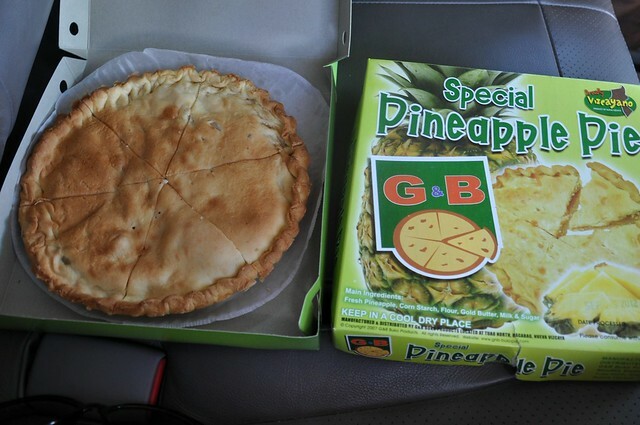 Enjoyed the fresh pineapple pie from G&B Buko Products in Bagabag. 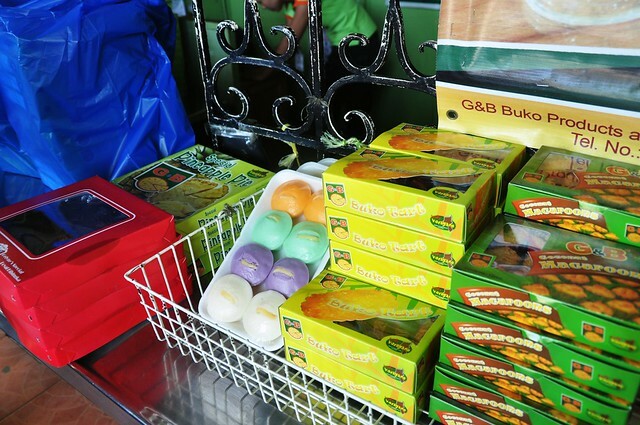 Leehua got a bunch of buko pies to bring home. We stopped by Cauayan in Isabela to greet the daughter of Joel’s (Leehua’s business partner’s) employee on her Christening. Never say no to crispy lechon, we stayed a bit. 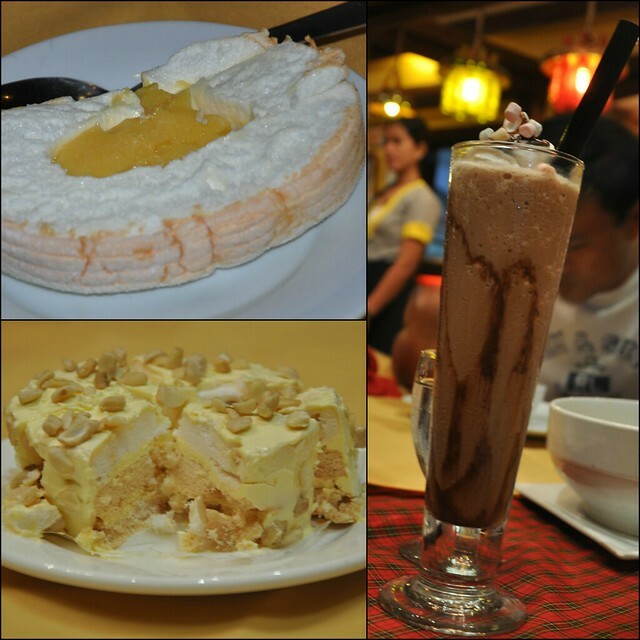 Cagayan Valley’s cuisine is a melting pot of flavors just like its peoples. The region is spread over parts of the Cordilleras, the Caraballos and the Sierra Madre Mountain Range. Before finally reaching home, Leehua pulled over at a gas station in Sanchez Mira, Cagayan. By that time, my tummy was exploding. Pigging out is a sin. Doomed, can’t find my waist!